Sophie Newton is chief operating officer at Brainlabs, an agency with the mission to revolutionise paid media through mathematical marketing, winning numerous awards including ‘Best Agency’ at the Masters of Marketing Awards 2016. 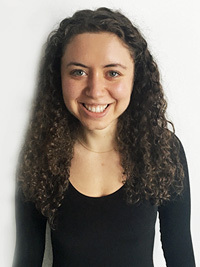 She studied maths at Oxford, where she graduated top of her year, and first worked in strategy consulting before moving into the much more exciting world of online advertising. Sophie has been invited to speak around the world, having won an Institute of Practitioners in Advertising ‘Women of Tomorrow’ Award, and the ‘Inspiration’ category at the Everywoman Technology Awards for her ground-breaking gender equality and diversity work. Sophie, please can you tell us about your career to date and what made you want to combine maths and marketing? I began my career in consultancy, but I had to get out of it pretty soon. Corporate culture wasn’t for me, as much as I enjoyed the strategic aspect of the job. I worked within the charity sector for a year or so, which was better in terms of granting me some autonomy, but to be honest, I missed the analytical element. Marketing has evolved over the last decade towards a far more data-driven approach, so it seemed like a natural fit for a mathematician, and Brainlabs shared my love for tech innovation, as well as some personal principles about workplace culture. Working here gave me the chance to really push my mathematical creativity, whilst also being influential on the growth of the business. What does your role at Brainlabs involve on a day to day basis? I look after the operations of the business, which means I oversee our various departments, making sure everything runs as efficiently as possible. I also support department heads with leadership development, which is important as we’re always expanding and therefore so are their teams! What I really like is that I still get to be involved in the tech side of things – I’m kind of the translator between the tech team and the client: I know enough about coding to help communicate what the tech needs to be, and enough about business to understand what the client will want to see. And, of course, I’m focused a lot on office culture – driving initiatives to improve the performance and quality of life of the staff. 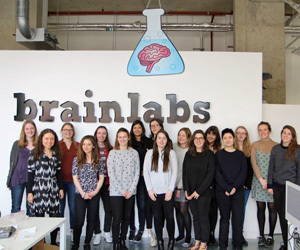 Please can you tell us about the work you’ve done to eradicate the gender pay gap at Brainlabs? Last April we implemented a gender pay gap tax, which led to an average increase of 8.6% for all women’s salaries, basically eradicating any pay discrepancies between male and female staff. This was our way of penalising ourselves for failing to redress the imbalance in our company and industry. For me, though, this is not the most important battle – changing pay is meaningless if you don’t also change culture. So, since that time I’ve been really focused on workplace culture: the language staff use, how we review performance, our hiring policies. It’s here that the major work begins, because these are strategies designed to address the unconscious biases we are all vulnerable to – which are the hardest to overcome. Why did you approach the challenge in a democratic way? As a data-driven company, we of course did some thorough(ish) research into diversity programmes. There’s a great article in the Harvard Business Review, for example, that cites evidence in favour of a democratic process for any successful change in office culture. We’re also democratic in general: Big decisions tend to be put in the hands of the staff – most recently the design of our new office. It ties in with a general belief in avoiding hierarchy and encouraging all staff to have a voice. What has the reaction been like from your team, and was there any difference in opinion between your male and female staff? There was an initial debate about the idea, of course, and a couple of people – not just men – had a different viewpoint to me. We have a really well integrated group of staff, so despite differences in opinion there was no sense of polarisation, which was good to see. A year on, I think everyone can see the benefits of it, so they are confident it was the right decision. Closing the pay gap was a powerful statement of the company’s commitment to gender equality. It was a bold first step which has allowed us to make great strides towards tackling some of the cultural barriers. It’s also part of a wider belief we have in celebrating diversity. This isn’t just good from an ethical point of view – the long-term benefits of equal opportunities are huge. For me, it’s an essential part of attracting, motivating and retaining talent. We have made excellent progress towards gender equality this year, which is proof that diversity initiatives can make a real difference, but the battle continues. What is your advice to other organisations who are looking to eradicate the gender pay gap and your response to those who say it can’t be done? The main thing is to ensure buy-in at all levels. It can’t be pushed down or pushed up, it has to be company-wide. Of course, eradicating the gender pay gap can be done – it’s actually incredibly easy. The hard thing, as I’ve said, is creating a wider cultural change – so start doing this first! There are some useful ideas in our handbook on this topic, if you need some inspiration (see section 11). What is coming up next for you and Brainlabs? 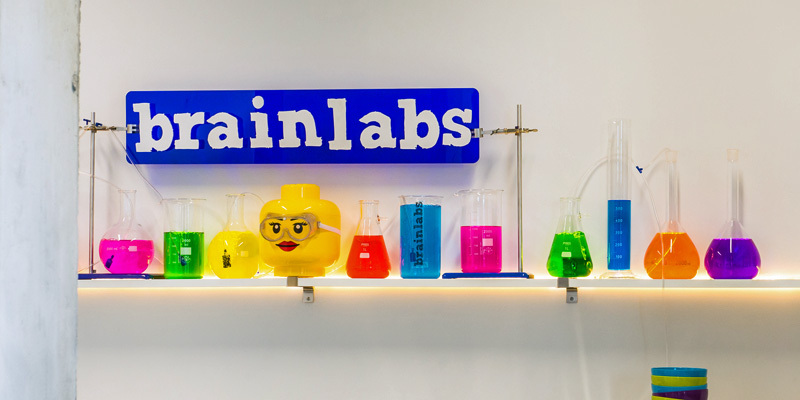 Oh, and Brainlabs is hiring. 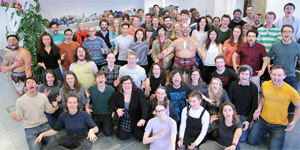 Check out our current vacancies.